Now you can experience the difference a Remote Trainer can make. The Little Dog Deluxe Remote Trainer is comfortable for your pet and easy to use with an advanced digital display that tells you exactly what level of stimulation you're using. 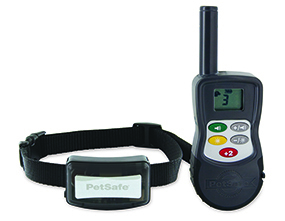 The Remote Trainer helps you control your pet without a lead in a range of up to 350 m. The handheld remote sends a signal, activating your dog's collar. He receives a safe but annoying stimulation. He'll quickly learn the association between his behaviour and your training. In no time, you'll have a better-behaved pet. 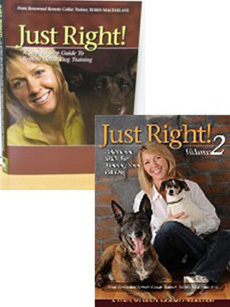 The Deluxe Remote Trainer has been proven safe, comfortable, and effective for small dog breeds.